Find all your shopping needs at the Galleria Dallas, which features three levels of shopping options containing all your favorite stores including Louis Vuitton, Versace, Gucci, and Tiffany & Co. You'll be sure to find all your favorite brands and the hottest designers at your fingertips. Other popular stores include Karen Millen, Ruehl No. 925, Tourneau, Lucky Brand Jeans, Solstice, Avalon Salon, Juicy Couture, Fashion Lab by Payless ShoeSource and American Girl Boutique and Bistro. These shopping tours offer a one-of-a-kind shopping experience at one of Texas' biggest malls. 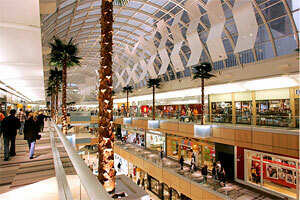 Price includes specified Galleria Dallas Shopping Tour. See schedule for exact dates. Experience the Galleria Dallas at your own pace. Activity is appropriate for all ages. The Galleria Dallas is handicap accessible.